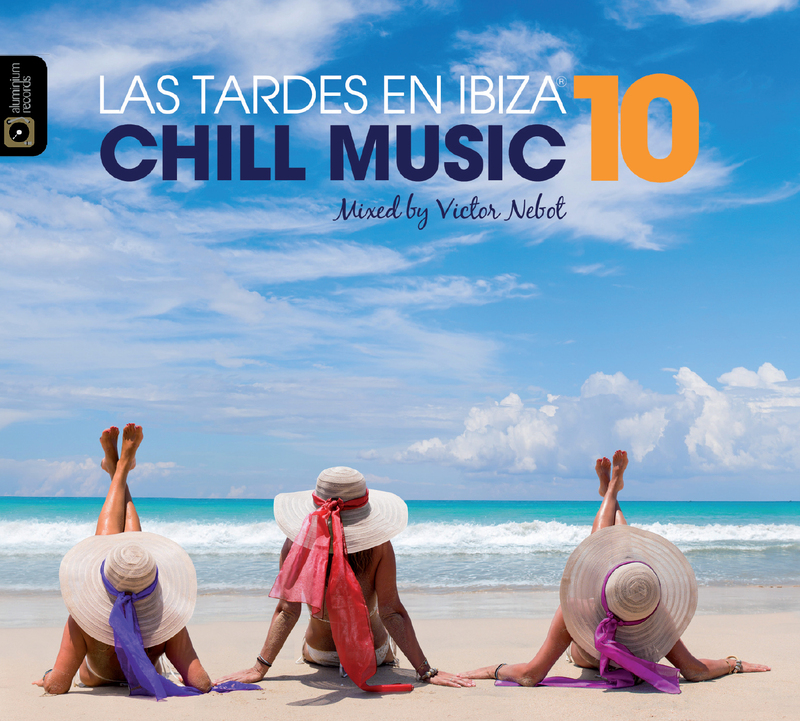 This compilation marks ten years of Las Tardes en Ibiza Chill and to celebrate Victor Nebot presents famous new born stars and classics of the golden age of music. He starts with the chill out song of Blank & Jones – ‘Face à la mer’ (Facing The Sea) with beautiful lyrics written by Piet Blank, Jaspa Jones and Andy Kaufhold « Just happy as I can be, Free, Facing the sea… » that were surely devoted to Las Tardes en Ibiza Chill compilations. Luis Hermandez follows on the same chill wave with ‘Mi Amor’ written by Ingo Herrmann and Astrid Demtroeder. And to enhance the vibration he chooses the great mexican-american voice of Ely Bruna who duets with Frankie Lovecchio in ‘Feel Like Making Love’ followed by Donna Summer & Giorgio Moroder song ‘On The Radio’ by Juliana Aquino. And now ‘Samba é tudo’ by Celso Fonseca and Ronaldo Bastos, that brings in cadence a sweet pulsation without pretension followed by Daniel Grau who produced and wrote a special version of ‘Nunca Conocí amor igual’ from the original mix called ‘Fallen’ from 440 Torker 1983. And a fresh young rhythmn born in 2015 starts the second half of this journey with the soul soliloquy of the delicate chords of Nesrine Belmokh violin waiting for her beautiful voice to sing ‘Bye Bye’ accompanied by Matthieu Saglio at the cello and David Gadea at the percussion. After this musical moment, we are ready to undertake a modern mystic quest with ‘I Feel Love’ by Hector Zazou, Barbara Eramo and Stefano Saletti. And it goes on with Ibizarre Remix of the famous ‘Riders On The Storm’ by The Doors followed by ‘And I Love Him’ remixed by LTJ Experience written by both famous Lennon and McCartney. For the next track just say that the title means everything: ‘Walk With The Dreamers’ … Keep your feet on the ground … by Ambala featuring Laid Back with Thomas Volmer Schulz at bass, piano and drums. Now just remember last Ibiza Summer that saw the launch of ‘Never Stop Dreaming’ by Dj Pippi and Kenneth Bager from the collection Music For Dreams with the collaboration of Victor Martin, Ian McDonald, Thomas Schulz and the solo guitar by Sergei Voronov. It’s now time to awaken your latin passion for a ‘Mexican Margarita’ on the beat of Tonovi Remix. To end the compilation, find the crazy joy of dancing to the rhythm of DJ Pippi & JL with ‘Dangerous’ composed by Martin Samuel, Evigan Jason, David Guetta, Robbins Lindy and Giorgio Tuinfort.